K. Dyson ... Why China ? China is a country whose culture dates back to the earliest records known to man. At first glance, some of China's beliefs may seem quite different than those we hold in the western world. One example of this is the cultural preference for a male child. There are several reasons why Chinese families might prefer a boy over a girl. In rural provinces, a family's livelihood depends directly on the output of its family members. Because of this, a family with sons would be at a considerable advantage than one with daughters. Historically, it is also the son's honored responsibility to take care of his parents in their old age. A daughter, however, would be expected to care for her husband's parents rather than her own. In this regard, the Chinese believe that having a son is crucial to their livelihood, as well as a form of social security for the parents when they grow older. 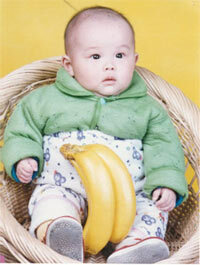 Although in recent years, China has done much to change these belief systems, many families, especially in rural areas, still strongly favor the birth of a male child. This situation is further complicated by China's One-Child Policy, which prohibits families from having more than one child. As a result of this policy, there are thousands of abandoned children throughout China, with the vast majority of them being healthy girls. Read more at the Travel Log.